Veneers cover the front of the tooth surface and slightly wrap around the sides and biting edge of the tooth. In most cases, each tooth receiving a veneer will be carefully prepped before the veneer fabrication and placement. This preparation involves removing a thin (usually less than one millimeter) layer of enamel from the natural tooth in the areas that will be covered by the veneer. This allows the veneer to fit seamlessly with the contours of the natural tooth. The veneers are attached using a thin but strong bonding material. The material hardens when cured by a specialized light. Made using composite resin, these may be made in the dental office or a dental lab and are less expensive than porcelain veneers. They can alter the appearance of tooth color, size, or shape and can be an effective solution for less extensive cosmetic improvements. 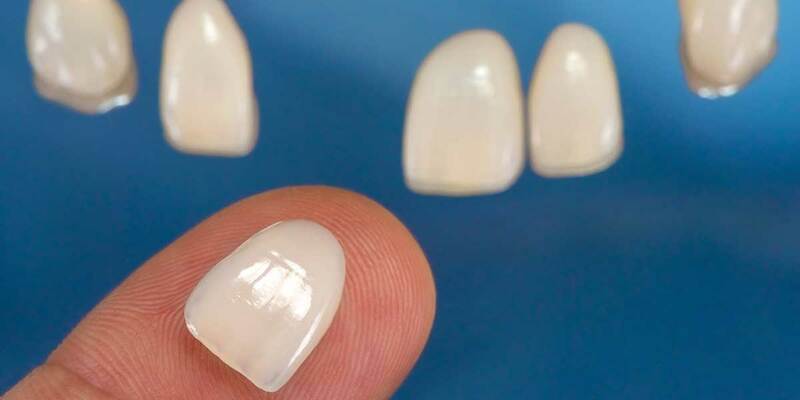 They are fully customized as are the porcelain veneers, but the composite material is somewhat susceptible to staining and does not last as long as porcelain.